JazzInk: Sco-Lo: Past Present -- and Future? 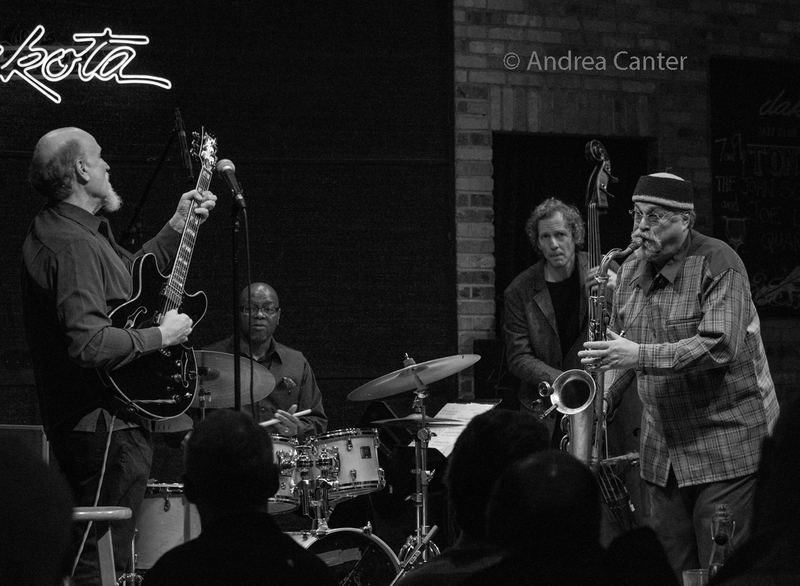 I now heard, live, two slightly different iterations of John Scofield's revived quartet with Joe Lovano, bringing their 1990s collaboration into the the 20-teens. At the Detroit Jazz Festival, Kobie Watkins sat in the drum chair in place of Bill Stewart, with bassist Ben Street reprising his earlier role. The band played in the huge Carhartt Amphitheater on the festival's Sunday night, and the crowd spilled onto the adjacent walkways, hillside and into the central space of Hart Plaza. It was perfect, high-energy post bop that was well suited to an outdoor arena, and even from the highest levels of seating, one could feel the strength of collaboration and enjoy particularly Lovano's "dance" with his instrument and his pal John Scofield. 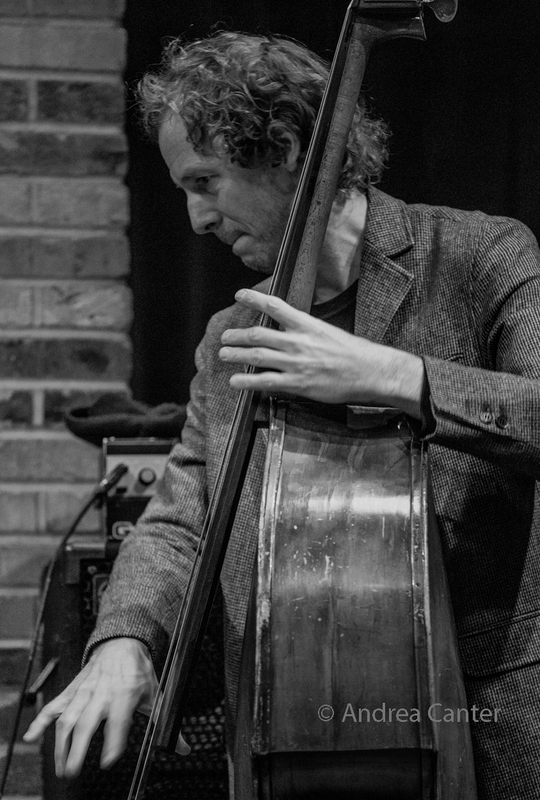 Shortly thereafter, the quartet released Past Present on Impulse, now nominated for two Grammys (Best Jazz Instrumental Album, Best Improvised Solo), with Larry Grenadier on bass and original quartet drummer Bill Stewart. Now I have had the indoor, more intimate experience of the quartet at the Dakota Jazz Club, here February 8-9 with Lewis Nash at the drumset. In some ways it is a very different experience to witness small ensemble jazz in a room of 200 versus an outdoor arena of 5000+, but the energy flows like lava nevertheless. Certainly the sound is more pleasing inside the Dakota and the distractions less apparent, although for an outdoor festival setting, Detroit always produces quite decent sound, and the majority in the crowd, especially for evening headliners, are attentive and usually actively enthralled. That's not always the case at the Dakota despite the often pricey tickets. But Sco-Lo and friends have a way of commanding attention regardless of the volume of the tune-- they pull you in at the first phrase, be it a all out shout from the full quartet or a dazzling preface from Lovano's sax. I admit the pump was primed from the start, as Facebook was filled with praise for the quartet's first night, with more than one "best show I ever saw" comment. That sort of reaction can work against a band on the second night as setting an impossible standard. I won't say it was "the best show I ever saw" as such hyperbole always backfires and frankly my memory is too short these days. Just last week, the Dakota (again) brought in the remarkable Charles Lloyd and Friends quartet with Bill Frisell. 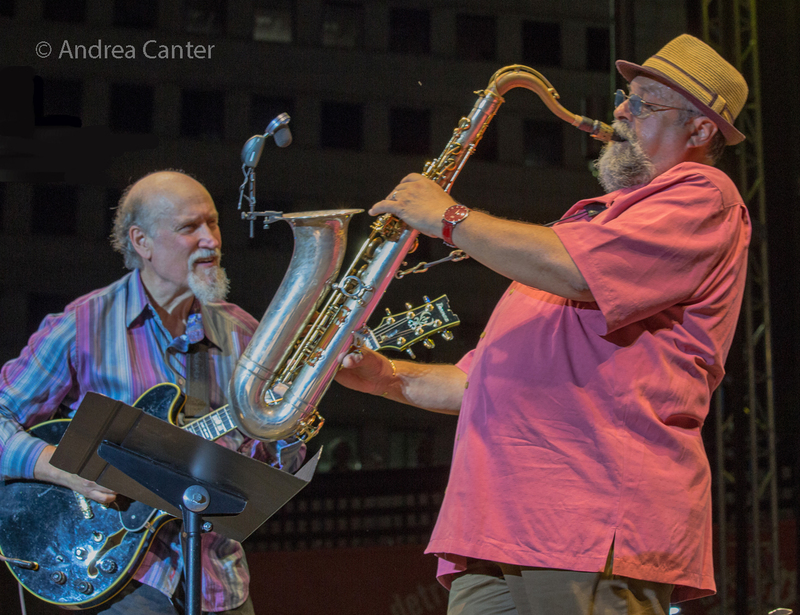 Like Scofield and Lovano, Lloyd and Frisell fit together as if born of the same musical womb; unlike Scofield and Lovano, their partnership was only a couple years in the making. I thought that was the best show I had seen locally in years. The music from Scofield/Lovano is as different from Lloyd and Frisell as Bach is different from Debussy. I'm happy we have both. 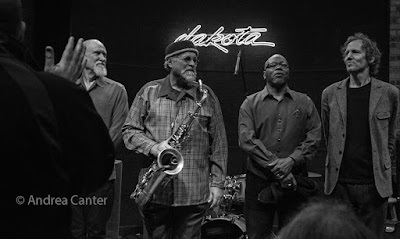 On February 9, the band played music from the recording -- "Slinky" and of course "Past Present," along with Lovano's "Cymbalism" and other originals, by and large tunes that focused on the powerful improvisation talents of all four artists and the exceptional energy of their collaboration. The friendly dueling between Scofield and Lovano, ax to ax, was pure joy for the ears and the eyes -- you could see the musical fireworks as well as hear them throughout. That this was not the same group as on the recording was irrelevant. 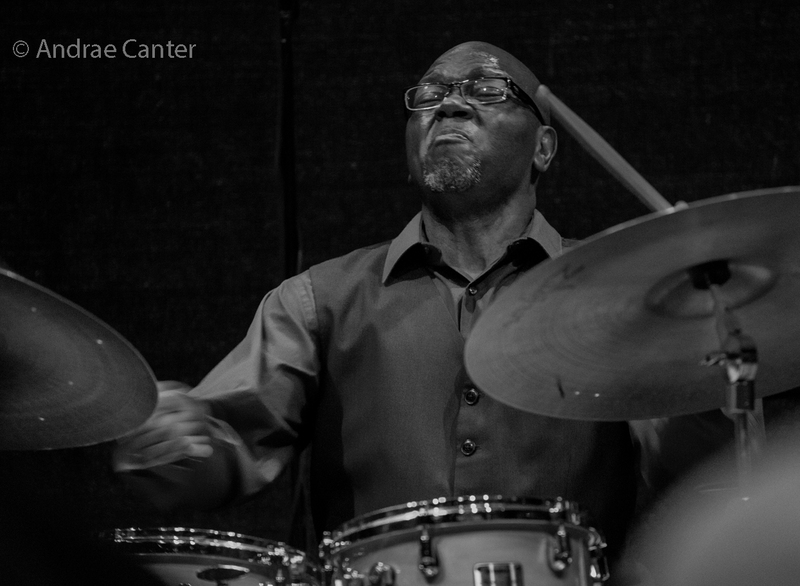 Ben Street is a long-time associate of Scofield and played with the original cast early in his career; Lewis Nash is one of the most praised drummers on the scene today and no one's "sub." I'll say the same for the younger Kobie Watkins who endeared himself to the multitudes in Detroit last fall. 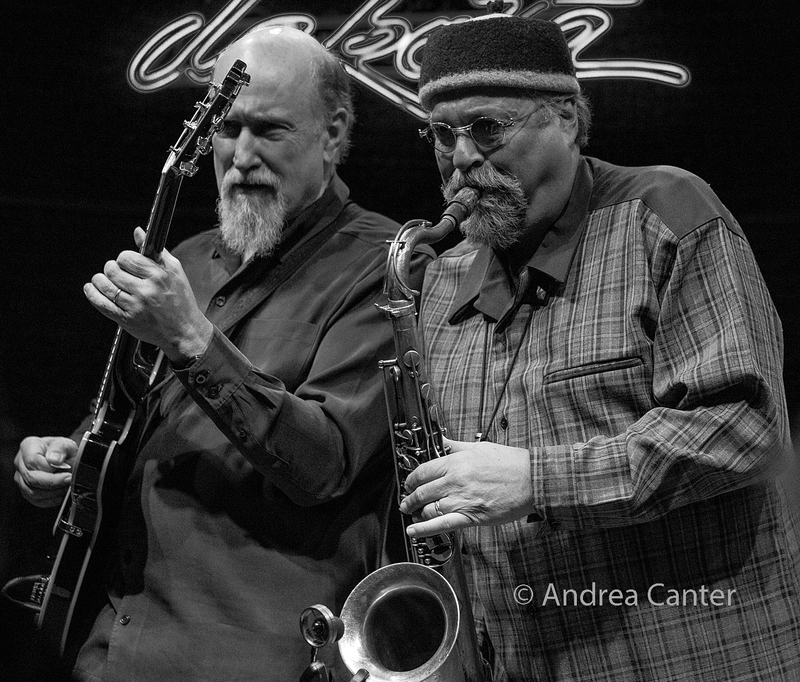 Scofield and Lovano don't choose their sidemen lightly. Past Present may stand firmly as documentation of the Scofield-Lovano reunion. But perhaps their next recording will consider the varying combinations of bass and drums as I suspect each configuration brings out the best in a different way. That's what jazz is.